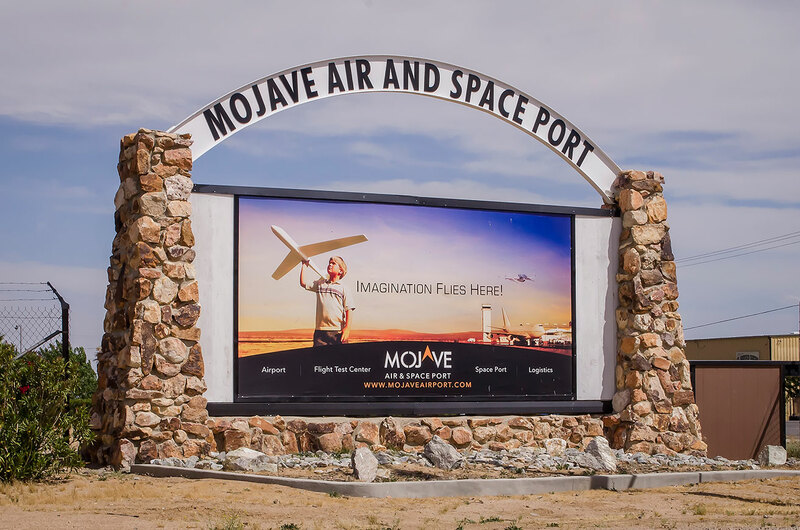 The tour starts at the main entrance to the Mojave Air & Space Port (the MASP) on the corner of Airport Blvd. and the Mojave-Barstow Highway. 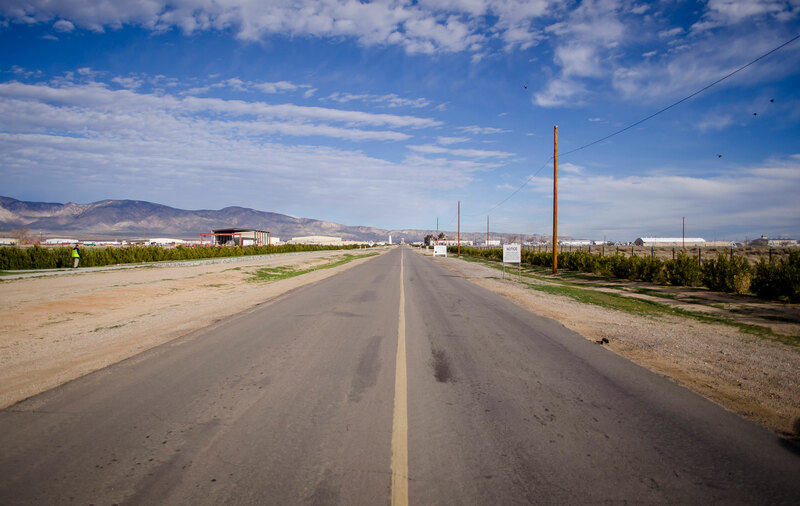 Mojave is best known as a civilian flight test center, home of the Voyager aircraft and SpaceShipOne. Parked on the west side of the road are a F-4 and a Convair 990. F-4 Phantom II fighter jets were given a second life here in Mojave by BAE Systems. Retired F-4s were converted to fly without a pilot on board to serve as a target drone for military RADAR and missile testing. The unmanned version is painted with the orange tail and wing tips and redesignated as a QF-4. The Convair 990 was an American narrow-body four-engined jet airliner produced by the Convair division of General Dynamics, a stretched version of their earlier Convair 880 produced in response to a request from American Airlines. The 990 was lengthened by 10 ft (3.0 m), which increased the number of passengers from between 88 and 110 in the 880, to between 96 and 121 in the 990. This was still fewer than the contemporary Boeing 707 (110 to 189) or Douglas DC-8 (105 to 173), although the 990 was 25–35 mph (40–56 km/h) faster than either in cruise.